Get some historical perspective at Cannery Row and Mission San Juan Bautista. 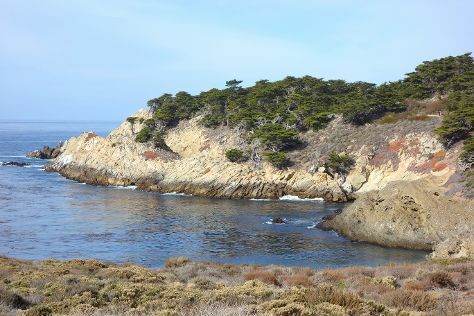 Relax by the water at Point Lobos and Carmel River State Beach. Get out of town with these interesting San Jose side-trips: Carmel (San Carlos Borromeo de Carmelo Mission, Scenic Road Walkway, & more), Monterey (Perry House, Old Fisherman's Wharf, & more) and Santa Cruz (Santa Cruz Beach Boardwalk & Natural Bridges State Beach). There's lots more to do: don't miss a visit to Pacific Grove Oceanview Boulevard, appreciate the extensive heritage of San Juan Bautista State Historic Park, steep yourself in history at McHenry Mansion, and explore the world behind art at Filoli. To plan San Jose vacation without wasting time, ask Inspirock to design an itinerary. In May, daily temperatures in San Jose can reach 74°F, while at night they dip to 53°F. Finish up your sightseeing early on the 31st (Fri) so you can travel back home.